The Texas Legislature's 86th session doesn't start until Jan. 8, but lawmakers got a head start on filing legislation Monday. The Texas Legislature's newest incoming members were elected less than a week ago, and the two chambers won't gavel in until Jan. 8. 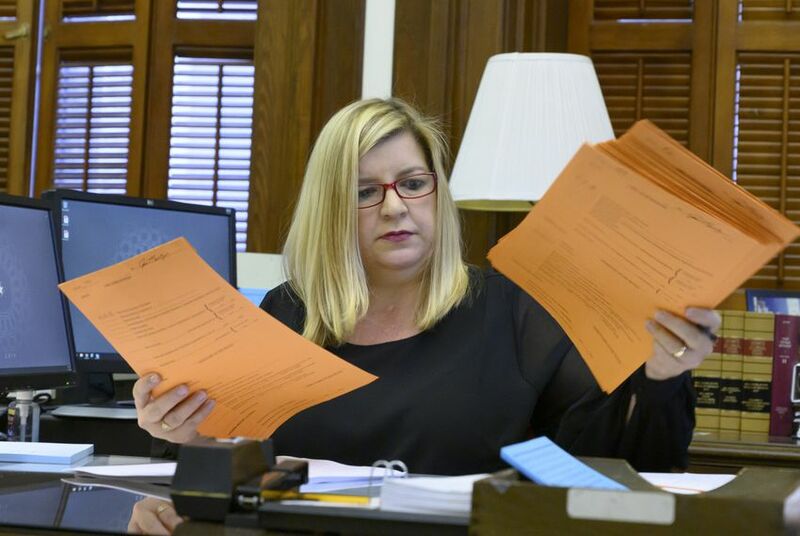 But the law-writing bonanza of the 2019 legislative session kicked off Monday, the first day to pre-file bills for the 86th Legislature. By noon, more than 400 bills had been filed. In the state Senate, the first bill, as usual, came from Sen. Judith Zaffirini, D-Laredo, who is known to have her staff line up outside the clerk's office hours before prefiling starts. Senate Bill 31 is a bipartisan effort — eight senators signed on as authors, with Zaffirini at the top — to create a guardianship, abuse, fraud and exploitation deterrence program within the state Office of Court Administration. House Bill 63, by Rep. Joe Moody, D-El Paso, would make it a civil offense — not a crime — to be caught with less than one ounce of marijuana. Moody's bill was one of several filed Monday aiming to loosen marijuana laws in Texas. House Bill 84, also by Moody, would repeal the section of the Texas penal code that lists "homosexual conduct" as a crime. The U.S. Supreme Court has already ruled that the section is unenforceable, but it remains on the books. House Bill 222, by Rep. Matt Krause, R-Fort Worth, would prohibit Texas cities from adopting or enforcing ordinances that would require employers to offer their employees paid sick leave. San Antonio and Austin have passed paid sick leave ordinances this year. Soon after Austin passed its ordinance, state Rep. Paul Workman, R-Austin, announced that he would file legislation banning the ordinances, but Workman was defeated in Tuesday's election. House Joint Resolution 24, by Rep. Charlie Geren, R-Fort Worth, would propose a constitutional amendment requiring the state to fund at least half of the cost of funding public schools. If the amendment were approved by voters, local property tax collections would not apply to the state's share. Senate Bill 66, by Sen. Jane Nelson, R-Flower Mound, would reduce and eventually eliminate the state's franchise tax.